Jersey Reds have signed former Bristol winger Auguy Slowik. The 23-year-old scored 19 tries in 28 games for Bristol to help them reach the Premiership in 2016. 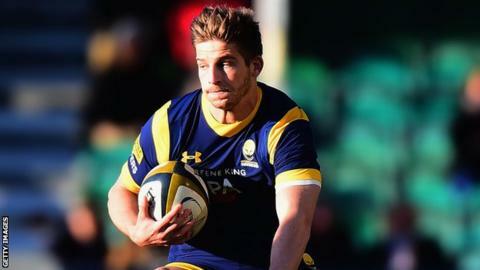 But with limited chances at Ashton Gate last season he moved to Worcester and London Scottish, before time in Australia with Northern Suburbs. "Auguy's a proven performer in the Championship who played a significant role for Bristol in winning promotion," said Jersey boss Harvey Biljon. "He has great pace and try-scoring potential and after a change of scene in Australia in recent months he's hungry to re-establish himself on his return to Europe." Having only returned from Australia this week, Slowik is not expected to feature in Saturday's game at Dragons Premiership Select in the British and Irish Cup.